Built tough in waterproof, breathable, fully seam sealed canvas, this workwear inspired insulated jacket does double duty - performing in serious winter conditions and looking good wherever it goes. Built tough in waterproof, breathable, fully seam sealed canvas, this workwear inspired insulated jacket does double duty - performing in serious winter conditions and looking good wherever it goes. 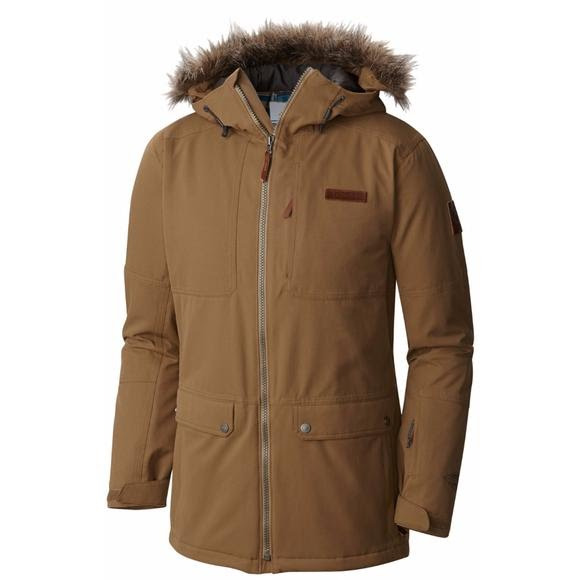 Outfitted with ski ready features like a powder skirt, goggle pocket and helmet compatible hood, the Columbia Men&apos;s Catacomb Crest™ Parka supplies 80g synthetic insulation to keep you toasty on the mountain or on the street and zip open underarm vents for regulating your temperature.